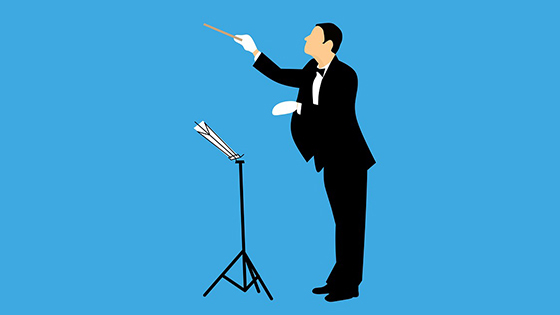 May 3, 2018, 8:14 AM · Imagine you are the orchestral director and can choose any pieces for a concert. This fun exercise was turned into an assignment for my conducting class (which I mentioned in my last post in April with sketches). As promised then, here is a sampling of a few of my favorite concerts I included! Enjoy! Children of all ages will enjoy a concert full of fairy tales and adventure stories, all which they can enjoy experiencing through the music with a narrator helping them out. Take a tour through the land and sea, through the seasons and in different parts of the world. All of this music carries a zen-like feel to which one can enjoy in the same vein of taking a walk. The great orchestrators were full of bubbling colors in their music, and all three of these pieces have a distinct flavor to them, coming from France, Spain, and Brazil, that allow a taste from these three countries. Stravinsky takes us back to 17th century France, showing his interest in Apollo, the god of music. Diamond's hauntingly stark Elegy celebrates the wonderful Maurice Ravel, whose music has been celebrated all season. Thus, the season comes to a close with Ravel's greatest masterpiece, full of gorgeous colors that help shape Ravel's retelling of a classic romance. This last concert is very personal to me, and I'm so happy I found that elegy as a personal note: a celebration of the piece to which I first discovered my favorite composer, and also my favorite piece of music of all-time. I hope you enjoyed a sampling of my concerts for this assignment! What programs would you choose? May 4, 2018 at 09:36 AM · I really like the idea of a 'children's concert'. Getting classical to the next generation and what not. May 4, 2018 at 10:09 AM · I love this post! I'm not a conductor, but I've often thought about what I'd like to program, especially because I enjoy discovering lesser-known pieces and composers. I'll come back and post more later, but for now, here's one I've had in mind for a long time. For this program, I'm going to assume a semi-professional orchestra like the one I currently play in. Many members of our orchestra play for the love of music, and tonight we proudly present the works of four composers who used music as a creative outlet while pursuing demanding non-musical careers. Physician-scientists Bearer and Borodin take us on musical journeys to Pacific Northwest forests and Eurasian steppes; industrialist Berwald and engineer Atterberg paint their own fantastic musical landscapes. May 7, 2018 at 02:39 AM · I like your programs, though just something to keep in the back of your head: If you were a conductor choosing programs, you would need to keep in mind the preparation burden on players, as well as stamina for the works in general. Your nature concert, for instance, would normally have the Lark Ascending played by the concertmaster; it'd be less common to bring in a soloist for that. Since there two rather than four Seasons in that program, the concertmaster might be the logical choice there, too, though that's perhaps a place where one might ask the principal 2nd to play. And then the Grofe has a significant concertmaster's solo as well. May 9, 2018 at 07:34 AM · Here's my attempt at an entire 5-concert season (again matching my orchestra), with an overarching "Musical Passports" theme. I'm going to leave out intro blurbs, but each concert except the first features one country or region through music inspired by it or composed by its natives. As risky as this programming seems, it's actually much more conservative than our real 2018-19 season!